“Boo at the Zoo,” New York City’s go-to family-friendly Halloween destination returns to WCS’s (Wildlife Conservation Society) Bronx Zoo for five weekends in October. 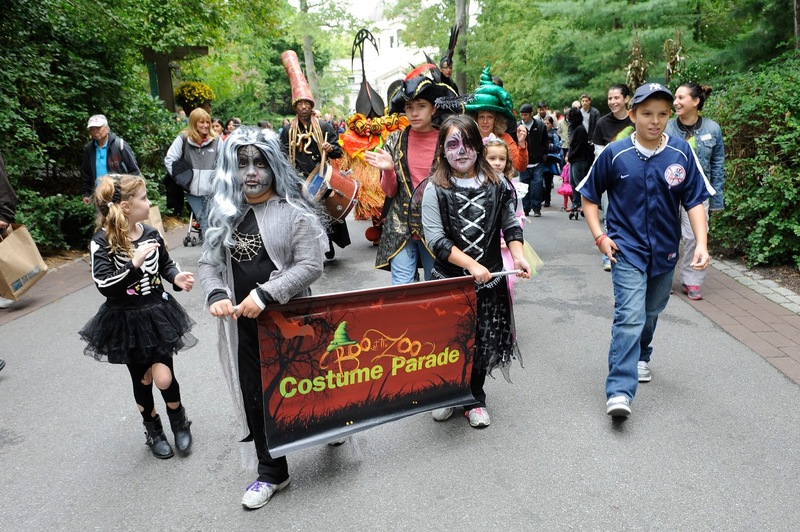 This year’s Boo at the Zoo activities are themed around animal behaviors and “Mystery and Mischief” of the world of wildlife. “Boo at the Zoo: Mystery and Mischief” runs through Sun., Nov. 1. All attractions and activities will embrace the spirit of the season while highlighting wildlife and conservation. Annual favorites including the hay maze, giant pumpkin carving demos, costume parades, magic and more will return with some additional Halloween surprises. Jack O ‘Lantern Illumination, an eerie walk-through experience sponsored by Goosebumps, will take over the exhibits in the former World of Darkness building (near Somba Village) creating a one-of-a-kind illuminated Halloween display. Entertainment will include encore performances from Boo at the Zoo favorite, magician David Levitan. All “Boo at the Zoo” activities are included with the price of general admission with the exception of the Jack O’Lantern Illumination which is included with the Total Experience Ticket.